Apple's fourth-generation set-top box is all about apps. The fourth-generation Apple TV is now on sale, with first deliveries arriving on doorsteps Oct. 30. You can choose between a 32GB model for $149 and a 64GB model for $199, depending on how much gaming you plan to do. Apple is offering free shipping for delivery between Nov. 2 and Nov. 4, and in an unusual twist, next-day shipping is $17—but the delivery window is Oct. 30-Nov. 3. The new TV also comes with a redesigned remote with Siri integration for voice search, and you can buy a wrist loop for $13 to use the remote as a game controller. If you lose the remote, replacements cost $79. iMore notes that only one Siri remote can be paired to an Apple TV, so don’t expect to buy several remotes for the ultimate multiplayer gaming experience. You will be able to use multiple iOS devices or MFi game controllers with the TV, though, so your friends will still be able to join in. The fourth-gen Apple TV is now on sale in 80 countries, though the Siri remote only supports voice search in 12 of those. 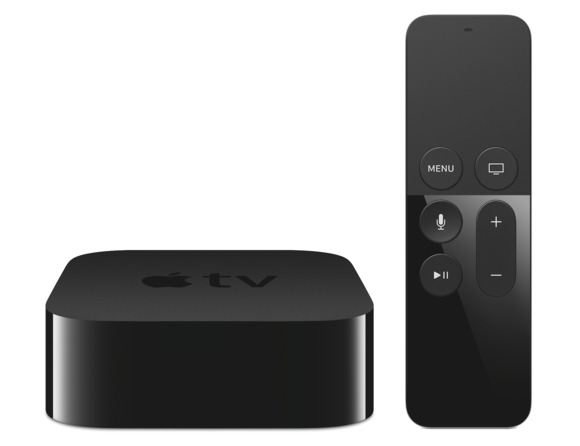 For a detailed breakdown of the Apple TV’s features and specs, check out our Apple TV FAQ. Did you already place your order? Let us know which one you picked and why in the comments.